What happens when custom-made Finnish Inaria sliding doors are combined with innovative technology? The outcome is Inaria WingLine: a sliding door, tailor-made for your home, with a folding mechanism. Now you can see everything that is in your cabinet at once – from one edge to the other, smoothly and silently. The folding mechanism is just as suitable for large, impressive cabinets – up to 2,400 mm in height – as it is for small bathroom cabinets. Even the largest Inaria WingLine doors open without a sound and close smoothly. The folding doors are available in all of our stunning panel colours. 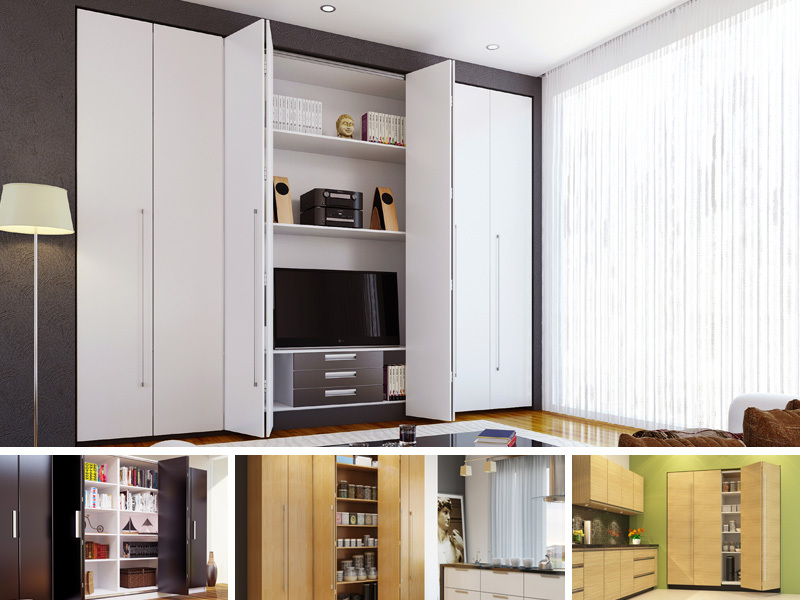 The doors contain innovative WingLine technology from German company Hettich – the only such doors in Finland.